JRC REFLEX has developed a new PATENTED roundreflective yarn that is a market first. 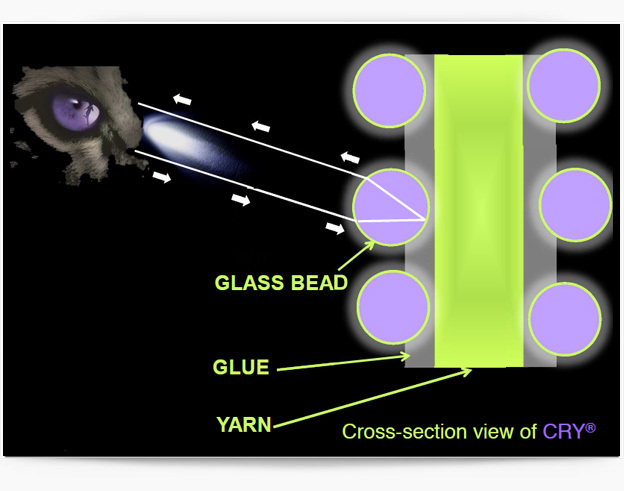 glass microbeads to the yarn. CIRCULAR KNITTING: for socks and headwear. Sample production has been successful without issues. FLAT BED KNITTING: for knit sportswear. Tests pending. WOVEN & KNIT FABRICS: initial testing very positive, CRY® is workable. EMBROIDERY: tests are positive, CRY® is workable.